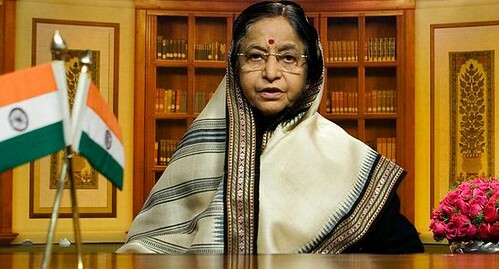 Pratibha Patil becomes India’s first female president. Pratibha Patil has won the 12th Presidential Elections of the Republic of India, becoming the first woman president of the second most populous country in the world. Patil, 72, previously governor of the state of Rajasthan, had support from the governing coalition. She won approximately two thirds of the vote, almost double the number of votes of her nearest rival Bhairon Singh Shekhawat, who resigned as Vice-President after losing the poll. Patil was a last-minute candidate who appeared when the coalition that leads the congress and the communist allies could not choose a common candidate. The supporters of Patil hope that her election could bring to the spotlight, problems that affect women in India, such as the high murder rate or domestic violence and abuse. More than 4,500 members of the Parliament of India and state Legislative Assemblies were eligible to vote for the largely ceremonial office. Patil was recently the centre of controversy after allegations that a bank gave out cheap loans to her relatives, and for her controversial statements about the Muslim veil. The President-elect will succeed the 11th President of India, Dr. A.P.J. Abdul Kalam, an engineer and scientist. She is expected to be sworn in on July 25 in the Central Hall of Parliament. The President of India, also called Rashtrapati, is the head of state and first citizen of India and the Supreme Commander of the Indian armed forces. The President’s role is largely ceremonial. The powers of the President of India are comparable to those of the monarch of the United Kingdom. The real executive authority in India is vested in the Council of Ministers, headed by the Prime Minister. In 1966, Indira Gandhi became the first and to date the only female prime minister of India. "How selfish soever man may be supposed, there are evidently some principles in his nature, which interest him in the fortune of others, and render their happiness necessary to him, though he derives nothing from it, except the pleasure of seeing it." This entry was posted in Uncategorized and tagged 2007, 25 July, Pratibha Patil by admin. Bookmark the permalink.